Aluminium body of poll, lamp body made by brass material with glass fitting .with bulb holder . 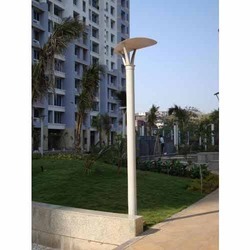 With the help of excellent and skilled man power, we are involved in offering Garden Pole Lamps. These Solar Garden Lamps that we offer are widely used in gardens for providing brightness to the area. In addition, these Solar Garden Lamps that we offer are very simple to install and maintain.